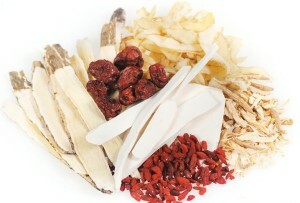 What is it?…Together with acupuncture, herbal medicine is a major pillar of Traditional Chinese Medicine (TCM). The Chinese Materia Medica lists over 9000 different single medicinal substances – plant, animal and mineral – of which 600 are in common use today. Unlike herbs purchased over-the-counter in many local TCM herbal stores, herbal prescriptions from a licensed practitioner contain herbs approved safe to ingest by Health Canada and are from no endangered plant or animal species. Whether in allopathic or Chinese medicine, every medicinal substance has its strengths and shortcomings. The unique characteristic of herbal medicine is the degree to which formulation is done. In other forms of herbal medicine, especially Western herbal medicine, herbs are often delivered singly, or combined into very small formulas of herbs that all have similar function. In contrast, Chinese herbalists and TCM doctors rarely prescribe a single herb to treat a condition. Instead, they create formulas that are tailored to meet the specific needs of individuals based on their presenting patterns of disharmony. There are approximately 20 major categories of formulas that range in primary actions from weeding and remove toxins from the body by relieving pain and excess symptoms, to nourishing the body’s root deficiencies. A few specific categories are: release the exterior (ex. for colds/flus), eliminate phlegm (ex. for cough with mucus), resolve dampness (ex. for water retention), clear heat (ex. for fever, infection), move blood stasis (ex. for pain due to blockage), and tonify (ex. for deficiency conditions). Each formula contains anywhere from 4 to 20 herbs, each herb having different actions, organ/meridian focus and functions. The beauty of this method of herbal prescription is that an effectively balanced formula creates a new therapeutic agent that can treat a person’s condition from multiple angles than any single herb can do alone. The interaction of the herbs in the formula is designed to accentuate each ingredient’s strengths while minimizing any negative side effects. How does it work?…Herbs are not just combined in ad hoc fashion to make a formula. Chinese herbal medicine follows an organizing principle that orders the ingredients into a hierarchy of 4 categories – Chief, Deputy, Assistant and Envoy. The Chief herb(s) has the greatest effect upon the principal pattern of disharmony and is absolutely indispensable to the formula. The Deputy herb(s) aids the chief ingredient in treating the principal pattern or disease, and is the main ingredient directed against any co-existing pattern (when there is more than one pattern of disharmony). The Assistant herb(s) has up to 3 functions in the formula: 1. 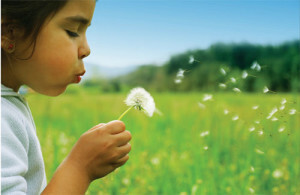 Reinforce the effect of the chief or deputy herbs (helpful assistant); 2. Moderate or eliminate any toxicity or harsh properties of the chief or deputy herbs (corrective assistant); and 3. In very serious and complex cases, the assistant has an effect opposite to the chief (opposing assistant). The last category of herbs in a formula is Envoy. These herbs have 2 major functions – to focus the actions of the whole formula on a certain meridian or physical area of the body; and to harmonize all the actions of the herbal ingredients together. For example, Chinese medicine has a useful herbal formula for hay fever, pollen allergies, sinusitis or allergic rhinitis where symptoms include: sudden onset of sneezing, itchy red eyes and throat, heavy sensation in the head, post-nasal drip and copious mucus. Ingredients include: Chief herbs cockleburr fruit and magnolia flower, which enter the Lung meridian/organ to dispel wind-damp, unblock nasal passages for profuse nasal discharge, and treat related headache pain. The Deputy herb is angelica root, which enhances all the actions of the chief herbs and detoxifies side effects of cockleburr. The last herb – both a Deputy and an Envoy – is mint. It is used here to balance the warm nature of the previous herbs with its coolness, disperse wind-heat to relieve itchiness, cool the eyes, and soothe the throat. It also helps direct all the herbs to the head. After acute-onset symptoms are relieved, Lung, Spleen and Kidney energy should be nourished to mitigate further onset, and strengthen the body’s immune system so that allergic reactions eventually no longer occur. Are there negative herb interactions with Western medications?…Herbal medicine should be considered like any other type of prescription medicine. Negative herb-drug interactions, although rare, can occur. It is always advised to take allopathic and natural medicine at least 2 hours apart. Inform your herbalist or TCM doctor of all Western medications you are taking, including supplements, so the most appropriate, safest herbal medicine can be prescribed for you. Who can it help?…Of all the TCM modalities, herbal medicine is the most effective option when the primary treatment principle is nourishing the body to rebuild substance – blood, body fluid, all types of tissues (including cartilage, ligaments and tendons). This is akin to giving fertilizer to make the soil richer and the plants grow healthier. Herbal medicine can help those with allergies, asthma, eczema, acne, tinnitus, athlete’s foot, diabetes type II, systemic lupus erythematosus, infertility, Parkinson’s, osteoarthritis, rheumatoid arthritis, menopausal syndrome, night sweats, anemia, hair loss, low thyroid (hypothyroidism), heel pain, hands/arms numbness, dizziness, autoimmune conditions, cancer (to relieve side effects of chemotherapy and radiation therapy), helicobacter pylori, chronic gastritis, and more.